It has been a month since the Maslina 5-member crew set sail. 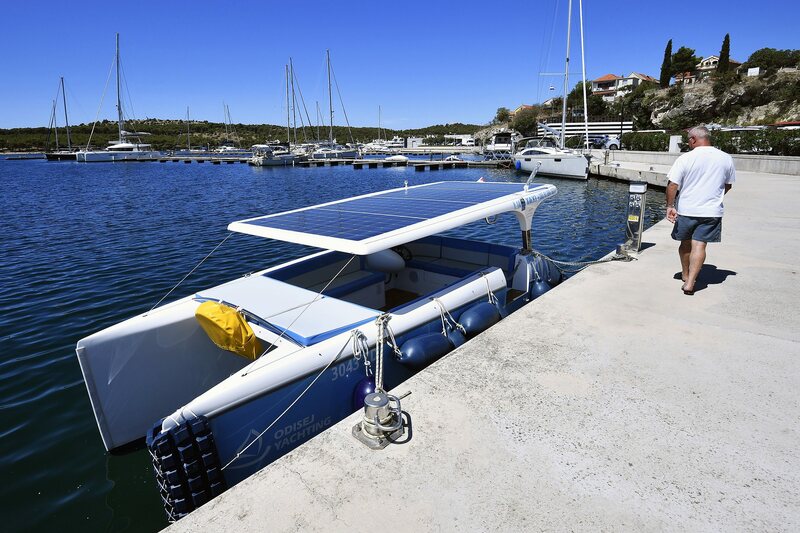 They started in the Icici Marina, and have so far sailed the entire north Adriatic. For the last week they have been sailing around central Adriatic. Last year in the ACI Marina in Skradin they met a loyal guest from Scotland, who stays here every year. This is what Matija Boltizar, Jutarnji list reporter and a member of the crew wrote: “Gordon Young is a Scot who has so far survived four emergency plane landing and one car crash ending upside down at a bottom of a hill. Gordon Young is also a bass player who has played with Elton John and the Animals, and his band was an opening band for the Beatles. But the story does not end there… Gordon Young is also a pilot who used to fly American president Jimmy Carter, and is also an animal lover who managed to bring his dog Lazarus to life. These are some of the stories about this peculiar Scot who is well known in entire Skradin“. 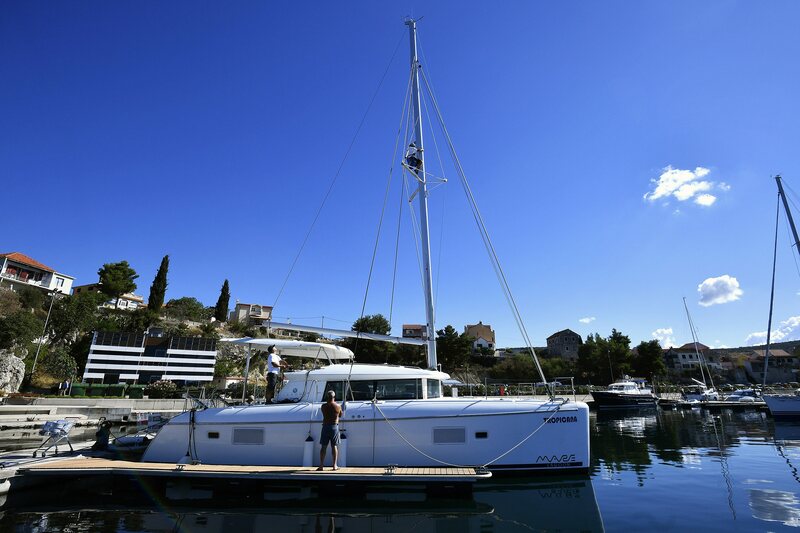 Having left ACI Marina in Skradin the guys stopped by at the luxurious Mandalina Marina in Sibenik. “There are three plaques on the main building in Mandalina Marina in Sibenik. The first one shows five golden anchors, which means this is the only 5-star marina in Croatia. Underneath there is the sign of The Yacht Harbour Association, whose aim is to improve and develop nautical services, and which gave the marina excellent grades. Finally there is a plaque with the Five Diamond Star Award from the American Academy of Hospitality Sciences. These awards are reason enough to consider Mandalina one of the best marinas in Croatia”, Boltizar wrote. The crew then set sail to Kremik Marina between Primosten and Rogoznica. 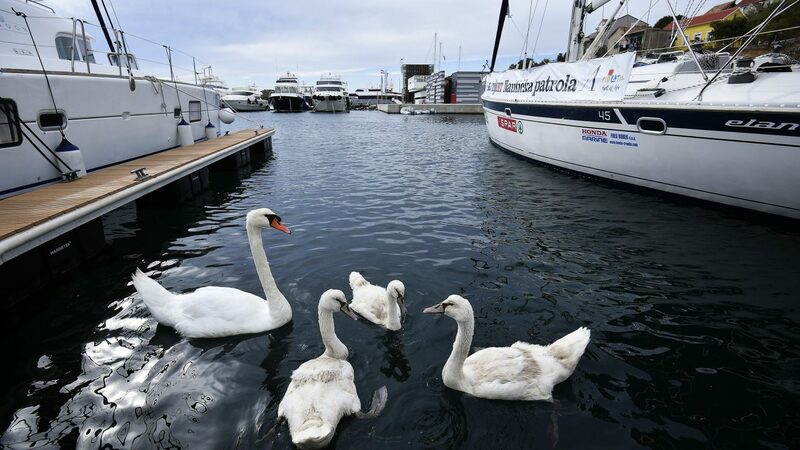 “Our marina is known for the protection of its natural beauty. Most foreigners love the peace here, with a number of services at their disposal, including the seasonal border crossing open from April until November. This is very important for the Italians who can come here directly by boat”, said Dario Tamajo, the head of Kremik marina, to Jutarnji list reporters. 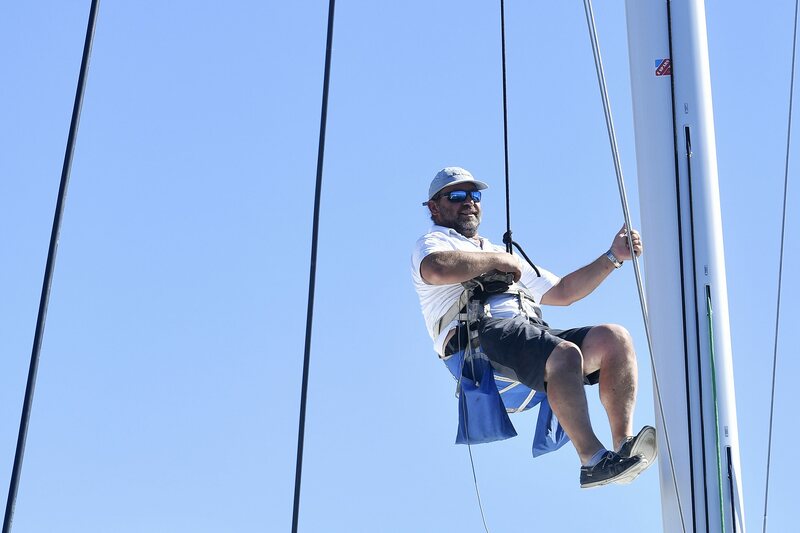 The crew stayed for a while in Rogoznica and visited, Frapa, one of the most famous marinas on the Adriatic coast. “The facilities and the quality of services offered here have set the bar very high. It all started in 1997 with the reception placed in a container and the jetties connected with dusty paths. Today the place is completely different – the waterfront is decorated with golden lions which are the symbols of the marina. 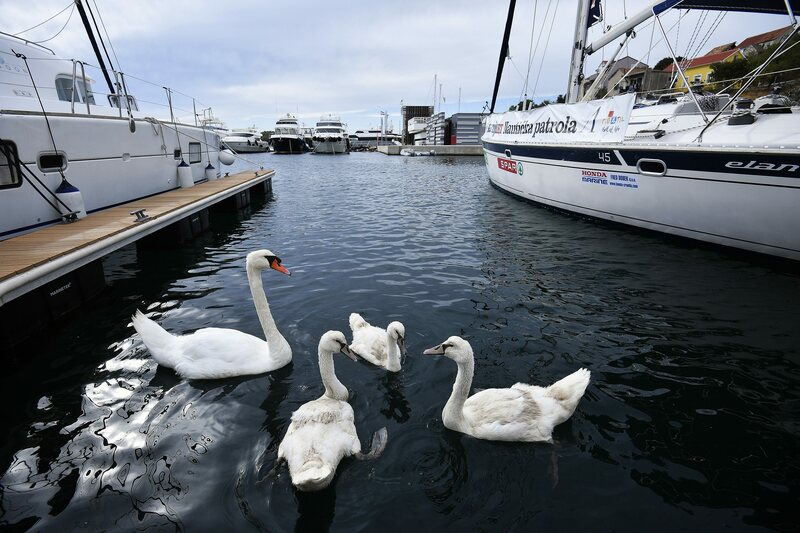 The marina stretches over 10 jetties with 462 fully equipped berths, with parts for permanent guests separated from those for charter boats and occasional guests”, Boltizar wrote. Members of our patrol finished the week at ACI Marina Trogir, an intimate marina in the very heart of this ancient town. “If we had to choose the most beautiful marina sites on the Adriatic, ACI Marina Trogir would definitely be among them. The view of the old town centre is magnificent, separated from the marina by a narrow canal. This is not the only advantage – Split Airport is only a few minutes away, and so is the highway which can take you to Zagreb in three hours. Once you are in the marina, the islands of Solta, Drvenik and Brac are easily reached. The marina was opened in 1983 with 230 berths. As the year went by and the boats got bigger, the number of berths went down to 174 in the sea and 35 on land. Most of the berths, around 70%, are for charter boats, which is specific for Trogir”, wrote Ivan Zrinjski, who was at this point replaced in the patrol by Hrvoje Bulesic.